STAMFORD, Conn. -- Hedgeye Risk Management (“Hedgeye”)—one of the world’s leading independent investing research firms—is excited to announce the launch of its new, institutional research app. 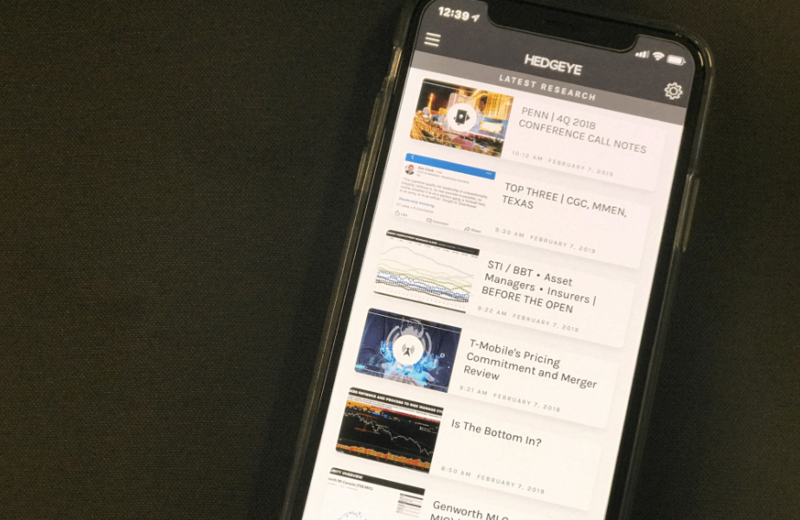 The app now enables all of Hedgeye’s institutional subscribers across the world to access the research firm’s timely and topical content on virtually all mobile platforms and devices. The world’s top asset managers and hedge funds can now easily consume Hedgeye’s institutional content anywhere Internet access is available. “We are very excited to have made this investment in our business to further improve our subscribers’ experience in accessing our world-class content and research team,” said Keith McCullough, Hedgeye’s founder and CEO. The Hedgeye research app is now available for download on Apple’s app store for iOS and Google Play for Android version. Hedgeye Risk Management is an independent investment research and online financial media company, focused exclusively on generating and delivering thoughtful investment ideas in a proven buy-side process. The firm combines quantitative, bottom-up and macro analysis with an emphasis on timing. The Hedgeye team features some of the most highly-regarded research analysts on Wall Street, covering Macro, Financials, Energy, Healthcare, Retail, Gaming, Lodging & Leisure (GLL), Restaurants, Industrials, Consumer Staples, Internet & Media, Housing, Materials, Technology, Demography and Washington policy analysis, including Macro, Energy, Healthcare, Telecom & Media and Defense.